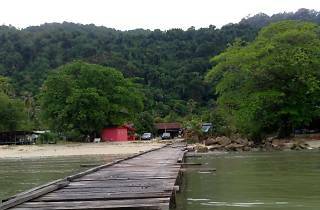 Located near the southwestern point of Penang island, Gertak Sanggul feels like a world away from the bustling northern coastline of George Town. 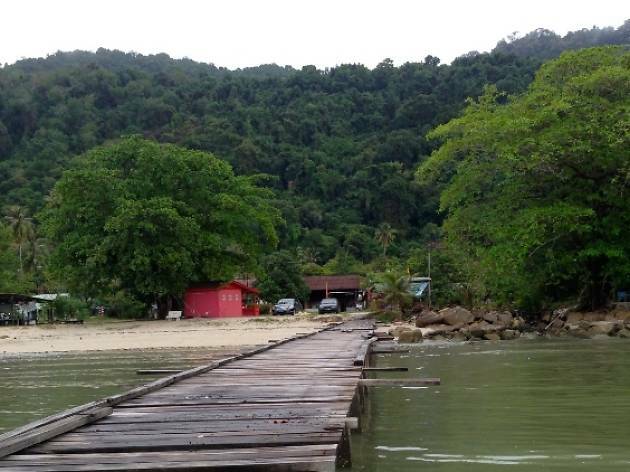 Located near the southwestern point of Penang island, Gertak Sanggul feels like a world away from the bustling northern coastline of George Town and Batu Ferringhi. You can experience life at a slower pace at this sleepy coastal kampung, watching from the white sand beach as fishermen pull up to the rickety piers with their daily catches ready to be sold to nearby roadside restaurants, and local residents rest peacefully on the beach enjoying the sounds of the waves breaking against the shore. The peaceful atmosphere and the clean air coming down from the rugged hills just beyond the village make this a great spot for a picnic at nearly any time of the day.